Due to the need to enroll most of our children into school and having difficulties registering with DSD we needed to register a new entity, we are now a registered NPC;PBO and NPO and are able to issue tax certificates for any financial donations. We however are still the same home with the same children, all our other details remain the same, we have only changed the name of our organisation to Juno Aurora Haven. We do a range of hand crafted products that can be purchased as gifts - ideal for any occasion - including corporate gifts, birthdays, anniversaries,wedding thank you gifts, baby shower, etc . These include various beaded items such as angel charms; key chains; book marks; table cloth weights; ear rings; jewelry; sun catchers; mobiles; etc - dream catchers; knitted beanies; scarves; dresses; skirts; bed socks; toys, baby clothing; ladies and girls crochet swimwear, etc - a lovely range of tie dyed clothing. Radio Interview: the last 10 minutes are us. 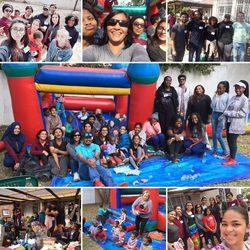 Hugh's Haven’s vision is to support a nation by supporting the dis-empowered mothers and babies, preventing them from finding a need to beg at our street corners, gangsterism and crime; thus making South Africa a healthier place to live in. We strive for ‘Prevention is better than cure’. 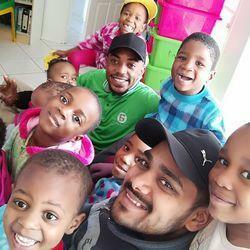 Juno Aurora Haven therefore provides a children’s home for babies and children who come from financially and socially disadvantaged backgrounds. Our mission is to support a healthy and stable foundation for children to ensure a healthy and stable society. The home therefore aims to fulfil a unique role, like no other institution. Your assistance will provide us with a means of taking care of and teaching these children to better prepare them to become responsible adults. 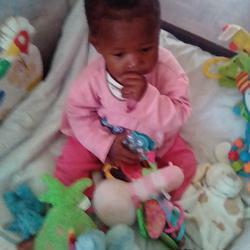 For 13 years Hugh's Haven had been running as a day care facility and home from a house in Yeoville. In January 2014 we relocated to a beautiful home on a plot in Randvaal. The children really thrived in our new environment. 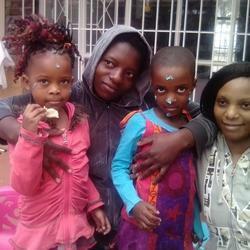 We had 12 live in children and 7 day care.After having a huge financial shortage we were evicted from our home, with the blessing of a few very special angels we were able to raise the deposit and first months rent to move into a new home. We then moved to a plot in Linbro Park. In a lovely, calm environment. In the begining of 2017 we were able to move into our permanent home in Kelvin. We however need desperately to increase our monthly income to enable us to pay the rent and utilities. 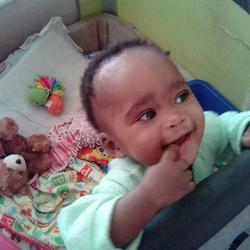 • We aim to provide a safe haven for up to 18 live-in babies and young children and 12 day care children. 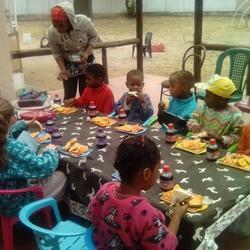 • The home provides the children with a safer and educational environment. • They receive well-balanced cooked meals for breakfast, lunch and dinner, two snacks of sandwiches, juice or tea, fruit or yogurt every day. 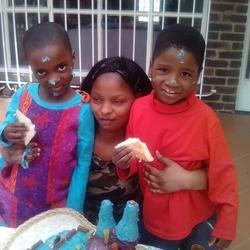 • In order to break the social inheritance, the home has an educational programme including theme-based lessons, perceptual activities, creative activities and a school readiness program for the children going to primary school the following year. We are also currently homeschooling our older children in grade 1 and grade 3. • When needed the home facilitates for some of the children to go to school even though the parents cannot afford the school fees, even school uniforms and educational needs are provided for the children. • The home also provides medicine, and takes the sick children to a doctor or hospital. • The home is also able to provide skills training to the moms as well as others in the community to make and sell various crafts. We also do a range of hand crafted products that can be purchased as gifts - ideal for any occasion - including corporate gifts. These include various beaded items such as charms; key chains; book marks; table cloth weights; ear rings; jewelry; sun catchers; mobiles; etc - dream catchers; knitted and crocheted beanies; scarves; dresses; skirts; bed socks; toys,baby outfits, etc - a lovely range of tie dyed clothing. Additional funds are needed for utilities, school fees, rent, staff training fees, etc. We also welcome donations in form of goods or services (e.g. food, cleaning products, clothing, educational materials, toys, household goods, etc). I am happy to collect any goods that are donated. All funds that are raised are used solely for the purpose of the activities of the home, and are accounted for as such, with receipts if requested. Our bank statements are available to anyone requesting to see them. 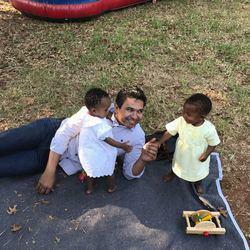 We welcome any assistance that is offered to improve the well being of our children. 5. Photo copying - I need the school readiness programs and primary school work copied in bulk.